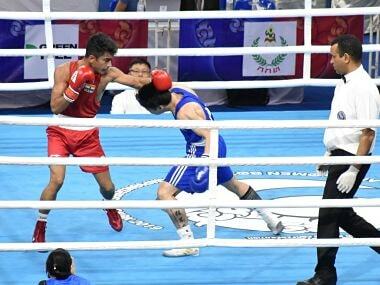 Bangkok: World youth gold-medallist Nitu notched up an impressive win along with three others as Indian women boxers outshone their male counterparts in the semifinals of the Asian Youth Boxing Championships on Thursday. Nitu (48kg), Anamika (51kg), Manisha (64kg) and Lalita (69kg) entered the final of the tournament, which is also a qualifying event for the October Youth Olympic Games in Buenos Aires. Divya Pawar (54kg) and Astha Pahwa (75kg) had to be content with bronze medals after going down in the semifinals. Among the men, only Ankit (60kg) made the summit clash, while Bhavesh Kattimani (52kg) and Aman (+91kg) settled for bronze medals. First up for India was Bhavesh Kattimani (52kg) and he was up against a very aggressive Samandar Kholmurodov. 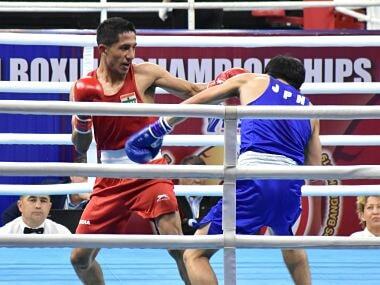 Kholmurodov's terrific hooks and the ability to dictate the pace of the bout stood out against the Indian, whose attacks lacked the requisite power. Kattimani ended up getting warned for excessive holding in the second round and faced a standing eight count during the third before Kholmurodov expectedly got the judges' unanimous nod. However, Ankit (60kg) brought cheer to the Indian camp with his victory over Mongolia's Tulga Oyunbaatar. The taller and more muscular Indian scored with his impactful jabs against a gutsy rival, whose uppercuts were a delight to watch. In the superheavyweight (+91kg) category, Aman lost in a unanimous decision to Uzbekistan's Jamshidbek Makhmadaliev despite giving it his all and being a shade more accurate at least in the first two rounds. 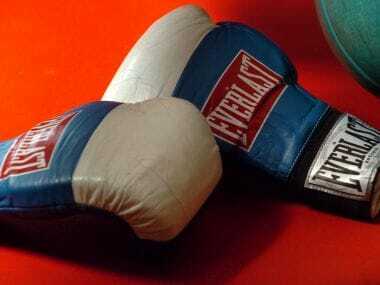 The evening session was for women boxers and the Indians dominated the proceedings. Nitu, a gold-medallist at the world event in Guwahati last year, out-punched Kazakhstan's Anel Kudaibergen. 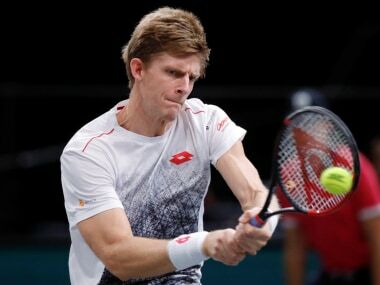 The lanky Indian was on mark with her straight punches and after a while Kudaibergen was mostly taking evasive action against the sprightly Indian. Anamika then upstaged local favourite Kittiya Nampai with a dominating performance, before Manisha edged past China's Xulu Wang. Lalita, on the other hand, simply toyed with Chinese Taipei's Szu-Ping Ho before scoring a unanimous victory. However, Divya had to be content with a bronze after losing to Korea's Ungyong Won in her semifinal clash. In the last bout of the day, Astha was up against Kazakhstan's Nadezhda Ryabets. It was a showdown between Astha's pace and Ryabets' power and the latter won quite comfortably in the end, fetching a unanimous nod from the judges. Anamika (51kg) and Astha (75kg) are also assured of tickets to the Buenos Aires. 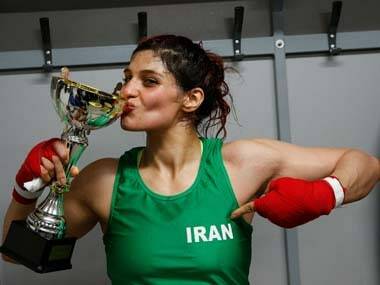 For women, four weight categories — 51kg, 57kg, 75kg and 60kg — will feature at the Games and from the ongoing event, the top-four have made the cut. All the three male semifinalists from India have also qualified for the Youth Olympics. Each country is entitled to a maximum of two women and three men qualifiers and if it ends up achieving more than that, the nation in question will have to pick among the qualifiers.